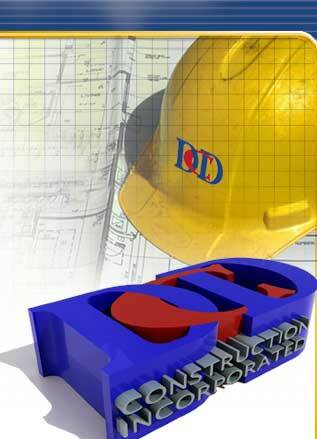 DCD CONSTRUCTION, INC. is one of the leading construction company that consists of competent, experienced personnel whose principal are already among the recognized leaders in their respective fields and its staff resources constitute its primary assets. Its individual track records extend to a vast span of experiences and exposures to various jobs requiring substantial technical skills and utmost responsibilities. Having passed rigid careful screening / selection its manpower is known for its dependability and progressive character which have consistently been the key factor that ensure the company’s success. ISO 9001 and BS OHSAS 18001 certified firm and a LEED Contractor. To be recognized as the premier construction company in the Philippines for providing excellent professional services based on a strong commitment to Quality, Economy, Performance and Safety. - We strive for error-free workmanship, and look for ways to meet our clients' construction objectives in the shortest time possible, without sacrificing quality standards and obtaining best value for their investment. - We continuously seek ways to improve our efficiency and productivity; creating successful partnerships with our clients throughout the construction process and remaining sensitive and responsive to changing market conditions. - We complete our work expeditiously through meticulous planning and teamwork from our organization of dedicated and hard-working staff of experienced professionals and highly skilled workers. - We are committed to maintaining a safe working environment and utilizing the latest technology and effective job controls. Our goal is an environment-friendly and hazard- free workplace. DCD Construction Inc. will expand its efforts to grow profitably and aspire to be a company recognized throughout the construction industry as one who becomes an integral part of the success its clients - meeting their needs today and in the future.